Immigration has been at the emotional center of politics ever since Donald Trump descended the escalator at Trump Tower to proclaim himself the candidate who would stop Mexico from sending rapists and murderers to despoil our country. 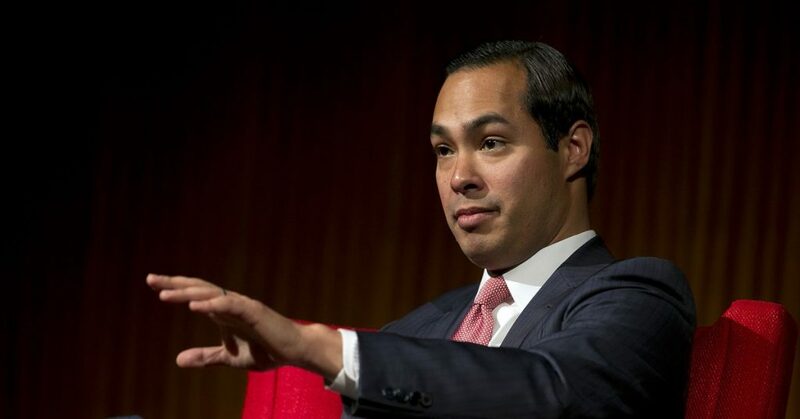 Thursday night, former HUD secretary Julián Castro tried to make immigration the center of his presidential campaign at a CNN town hall in Washington, DC. Castro has been the first — and so far only — candidate to try to break with that dynamic by actually releasing a detailed plan for reforming immigration policy. Castro’s plan breaks in critical ways with the old vision of bipartisan comprehensive immigration reform: Instead of pairing a path to citizenship for long-settled unauthorized immigrants with new “tough” border security measures, he wants to shift immigration enforcement in a more humane, less punitive direction. This is all music to most Democrats’ ears these days, but by the same token, it meant Castro did little to help himself stand out from the pack. He put in the work to develop a detailed and somewhat innovative immigration plan and then didn’t have much to say about it. One of the oddities of Castro’s tendency to self-pigeonhole himself as an immigration candidate is that his previous jobs haven’t really involved immigration policy. Since those previous jobs, as mayor of San Antonio and then as Secretary of Housing and Urban Development, were executive branch posts, he actually has a record of having personally done a bunch of stuff in contrast to the small army of House and Senate backbenchers he’s running against. He adroitly pivoted a tough question about HUD’s sales of distressed mortgages into some expansive thinking about affordable housing, noting that this issue has been off the presidential agenda for a couple of generations but is extremely pressing today. “Today in big cities and small towns there is an affordability crisis” proved to be a big applause line. Later he spoke with great passion about his work as mayor in creating one of the nation’s earliest universal pre-K programs, displaying command of the relevant research and a somewhat distinctive perspective about prioritizing early childhood investments over higher education. In response to a climate change question, he spoke in broad terms about the Green New Deal and clean energy investments but also got granular, mentioning a billion dollar National Disaster Resilience competition that he’d overseen. Disaster resilience is obviously not anyone’s top voting issue in 2020, but there was something extremely refreshing about seeing a politician talk about specific things he’s actually done and display fluency with the way the government actually works. Foreign policy has played nearly zero role in the 2020 campaign so far, but it’s one of the president’s biggest responsibilities, and is probably the area where the president is least constrained by Congress. It’s worth talking about and Castro — to his credit — did. This was mostly in general terms, framed around the importance of standing up for human rights and forming alliances. But he also argued in specific terms for reorienting American priorities somewhat toward the Western Hemisphere. Echoing Mexican president Andrés Manuel López Obrador, Castro called for a “21st Century Marshall Plan” to invest in Latin America, mentioning this both as a potential cure for the flood of asylum-seekers from Central America and more broadly as a means of building up a large and prosperous bloc of allied neighbors that could help the US stand against China’s rising power. This vision was much less fleshed-out than Castro’s discussion of his domestic policy ideas, but it’s an interesting concept and a useful addition to the debate. Castro is part of a large cast of characters who’s struggling to stand out from a large pack. His bet, evidently, is that focusing on immigration as a signature policy topic to reenforce his Latino identity is his best path for doing that. But he’s actually at his most impressive when he talks about policy issues he’s worked on in concrete ways — generally related to the linked themes of housing, education, and economic development. A wiser strategy might be to try to talk more about the things he’s best equipped to talk about rather than about the things that he thinks give him the best tactical opening. Next articleWhite House: We’re not considering busing migrants to “sanctuary cities.” Trump: Yes, we are!